Casumo is always one of the first to add new Quickspin slot games. And this time they also added Tiger’s Glory first. 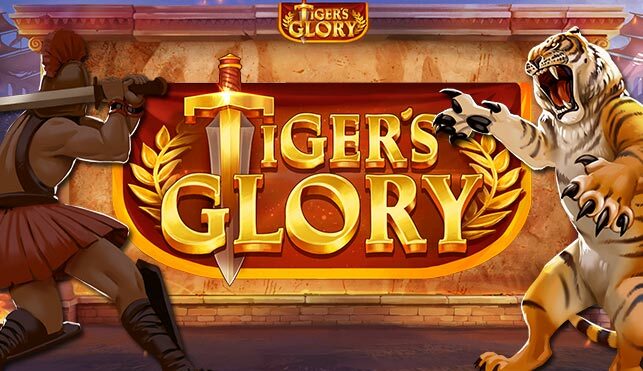 Tiger’s Glory is a new online slot game from Quickspin. The game uses 4096 ways on 6 reels, which are 4 symbols high. Wild and bonus symbols appear on all reels. Symbols can also appear double on each reel, which can rack up the win a lot. If you get 3, 4, 5 or 6 bonus symbols you will be awarded with 7, 10, 15 or 20 free spins respectively. During free spins random tiger symbols can become enraged tiger symbols. The tiger symbol is the highest paying symbol. When one or more enraged tiger symbol appears anywhere on the reels a fight will start. If the tiger wins that symbol will become sticky until the end of the free spins bonus. The first time a tiger becomes sticky on a reel it will also award 1 more free spin. So a total of 6 extra free spins can be won during free spins. During free spins tiger symbols pay anywhere. They don’t need to start from the leftmost reel. During this free spins feature bonus symbols do not appear. Tiger’s Glory is really a very cool new slot games. At first look you may think this is another Raging Rhino clone. But the bonus game is totally different. And it’s unique, I don’t think other games use this type of bonus. I would really suggest giving this new Quickspin slot game a try. For now the game is only available at Casumo. But that’s not a problem, Casumo is an amazing online casino with a lot of game choices and good bonuses and promotions. You should also try out this casino, it is also unique. Watch the promotional video below or start playing right away for fun or for real at Casumo.